There is a rapidly growing number of customers who are shopping with us, because they recognize that much of our apparel is not just for law enforcement. 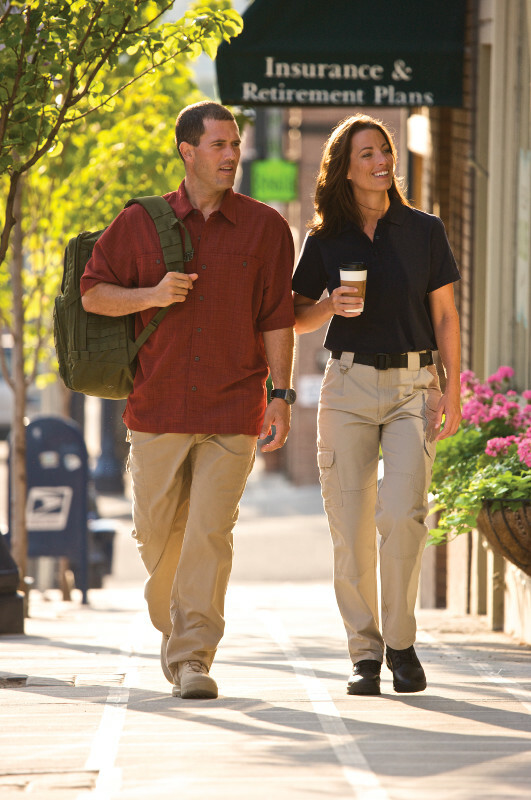 They appreciate the added functionality our shirts and pants deliver, like extra storage and freedom of movement. We have seen a lot of apparel designed for police use being asked for by tradespeople, outdoor aficionados, and even hunters. The demands of law enforcement, fire, emergency services, and other public safety professionals require apparel manufacturers to design and manufacture to a totally different standard than would be the case for “off the shelf” fashion apparel. The fit specifications are different, and the expectation for greater durability are greater. A lot of thinking has to go into every aspect of the product, from the fabrics to the number of passes to sew on a button. Recognizing the need for advanced fabrics, more durable manufacturing, and advanced functionality is one thing- sourcing it so that the cost of a new shirt doesn’t represent a car payment is another. The companies that Atlantic Uniform works with travel the entire globe, to insure they can produce a product that is exceptionally designed and of the best quality. People who enjoy the outdoors, or a rugged lifestyle, like to reflect that lifestyle choice in the clothing they wear. They also like the value and durability that our approach to workwear offers. In many ways, it’s easier to opt for a more rugged ensemble than to keep up with necktie widths and tailored suit lapel shapes. And who doesn’t look great in a classic plaid flannel shirt? As we (finally!) begin to enter Spring, consider adding a short sleeve polo from one of our high-performance collections. Many of them utilize high-tech fabrics that wick away moisture and perspiration, are cool to wear, and look great even after a long day. Some models offer integrated or pen pockets; all of them offer great freedom of movement. Most are machine washable and require very little (if any) ironing. Best of all, they are affordable and built to last.